Personal computer performance is often dictated by the speed at which various processes can be operated. Variations can be identified during the start-up process, when running software programs and while browsing the internet. Over the lifespan of a PC, operational speed generally decreases. As the number of applications and daily processes increases, issues with the available operational memory for these processes arise. For example, unused files, folders and programs can quickly build up and cause memory resources to be scarcely distributed. When a computer cannot access appropriate amounts of memory when needed, the computer slows. With a little effort, you can free up some operational memory. To do this, you may have to scan for viruses, uninstall programs or even defragment the hard drive. There are several options. This article will briefly introduce you to some of these solutions for a Window's Vista PC. Ensure Your Hardware Supports Windows: Window's software requires appropriate hardware to run efficiently. Particular versions of Windows demand certain hardware qualities. Qualities like processor, operating memory and hard drive all contribute to this efficiency. Window's XP is a stable operating system that will be used for generations to come. 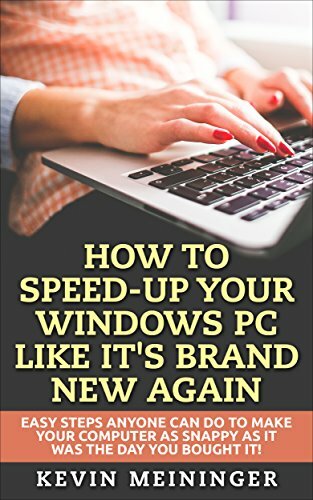 Optimization of a PC running Window's XP can be achieved by using a Pentium IV Celeron M processor or equivalent, 1 to 2 GB of RAM (operating memory) and a 160 GB hard drive or larger. Windows Vista demands a dual-core processor, 3 to 4 GB of RAM and a 320 GB hard drive. Scan For Errors In the Windows System: Efficiency depends largely on Windows system files. Windows system files are a group of program files that work together to run the PC. Applications like word processing, email and internet are controlled by these files. Software installations, viruses and the hard drive can corrupt these files. Corruption will diminish PC performance over time. Windows' 'System File Checker' can scan and replace all protected system files that are corrupted, with correct versions. To use the System File Checker on Vista, first, close any programs on the desktop. Then click the 'Start' button, 'Run', then type "SFC/SCANNOW" into the command box and click the "OK" button. Uninstall Unused Programs: Unused programs can be a significant burden on the PC's hard disk memory, and should be removed whenever possible. Applications that remain on the hard disk will use up memory that can otherwise be used for programs that are currently running. Fortunately, uninstalling unused programs is very easy. First, cick on the 'Start' menu. Now, open up the 'Control Panel'. You will see a list of applications/icons. Open the 'Add or Remove Programs' application on the 'Control Panel'. Scroll down to the appropriate unused program. Click the remove button, and then press 'Yes' to confirm the selection. Scan For Adware, Spyware and Viruses: Adware, spyware and viruses can infest a PC's processes and may be challenging to remove. Steps can be taken to begin the cleaning procedure and make the process easier. First, close all open browser windows and applications; then disconnect the PC from the internet. Check the 'Add/Remove Programs' list in the 'Control Panel' to see if any of the programs can be uninstalled. Now, if uninstalling is not possible, scan the PC using a full system scan in 'Safe Mode'. First, download a free on-demand scanner like BitDefender Free Edition, Malwarebytes or Kaspersky. Then, allow the scanner to clean, quarantine or delete files as necessary. After this, you may want to consider downloading a real-time anti-virus program, and running a scan with it as well. Configure Visual Settings: Visual effects such as screensavers, desktop backgrounds and screen brightness can affect the speed of your computer by using up memory. Reducing and/or changing a few of these effects may be in your best interest. Under the 'Control Panel', open 'System and Maintenance', and then 'Adjust Effects or Performance'. On Window's Vista, the 4 choices for visual performance are: 'let Windows choose what is best for my computer', adjust for best appearance', 'adjust for best performance' or 'custom'. Adjusting for optimal performance is designed to place performance as high-priority. For our purposes, this is the best option. Clean the Desktop: Desktop files consume operating memory to load on start-up. Desktops saturated with full files can significantly increase start-up time, and can reduce normal operational speed. Shortcuts files need less memory than full files, and for our purposes, converting full desktop files into shortcuts is a good idea. To do this, simply place all the desktop files in 'My Documents' and create shortcuts to the files that you use the most, on the desktop. Defragment the Hard Drive: Defragmentation is a great idea, but has risk involved, and should be used as a last resort. Generally, you should only defragment after you have tried all of the other options mentioned, with poor results. To safely defragment on Vista, first copy or back-up all work files, photos and emails to another hard drive, CDROM or DVD. Then, use CHKDSK to scan and repair the hard disk. 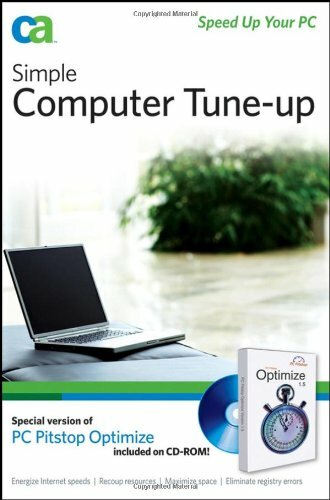 Close any processes and ensure the PC has a constant power source. Then, click the 'Start' button, select the 'Disk Defragmentation Program', click 'Programs', then 'Accessories', then 'System Tools', then the 'Disk Defragmentation' icon to begin the process.